Please visit our Open House at 502 63 KEEFER PL in Vancouver. Stunning 3 bed/2 bath patio home at Europa is sure to impress! Renovated Kitchen and Bathrooms with smart modern finishes. Corner unit with large windows on three sides over looking a huge 700 sq' private hedge lined patio. The open concept layout has bedrooms on either side of the living space. Brand new kitchen featuring a dedicated pantry. Europa has indoor pool, hot tub, gym and is located in trendy Cross town- moments to some of the best restaurants in the city, Andy Livingston Park, new Elementary school not to mention International Village Mall! Parking/storage complete the package. Open House Saturday, March 23rd 2-4pm. Stunning 3 bed/2 bath patio home at Europa is sure to impress! Renovated Kitchen and Bathrooms with smart modern finishes. Corner unit with large windows on three sides over looking a huge 700 sq' private hedge lined patio. The open concept layout has bedrooms on either side of the living space. Brand new kitchen featuring a dedicated pantry. Europa has indoor pool, hot tub, gym and is located in trendy Cross town- moments to some of the best restaurants in the city, Andy Livingston Park, new Elementary school not to mention International Village Mall! Parking/storage complete the package. Open House Sun 2-4pm! We have listed a new property at 502 63 KEEFER PL in Vancouver. Stunning 3 bed/2 bath patio home at Europa is sure to impress! Renovated Kitchen and Bathrooms with smart modern finishes. The large windows throughout the suite overlook a huge 700 sq' private hedge lined patio. The open concept layout has bedrooms on either side of the living space. Brand new kitchen featuring a dedicated pantry. Europa has indoor pool, hot tub, gym and is located in trendy Cross town- moments to some of the best restaurants in the city, Andy Livingston Park, new Elementary school not to mention International Village Mall! Parking/storage complete the package. Open House Sat/Sun 1-3pm! We have sold a property at 1509 189 DAVIE ST in Vancouver. Please visit our Open House at 1509 189 DAVIE ST in Vancouver. Stunning corner suite set within the most sought after collection of residences in the city, Marinaside Homes. Southwest facing with an abundance of natural light and spectacular water views from both the living areas and bedroom, this spacious one bedroom plus den home presents quintessential Yaletown living. Right out your front door is the Seawall, David Lam park, the Roundhouse Community Ctr., Urban Fare, and countless world class boutiques, cafes, and restaurants. The development itself boasts resort styled amenities including a pool, steam, hot tub, rec ctr, and concierge. Extremely well run strata, built by Canada's premier developer, Concord Pacific. Truly an outstanding investment opportunity at this price. Open House Sunday, January 13th 2-3pm. We have sold a property at 210 13364 102 AVE in Surrey. Immaculate 1 bedroom suite in Thornbury Manor just off University Blvd perfect for first timers or investors. This suite has been completely repainted and has new laminate flooring throughout. Featuring a cozy gas fireplace in the living room, large bedroom and a huge in-suite storage room off the foyer. Best feature - large patio overlooking the treed courtyard on the quiet side of the building. Laundry just down the hall. 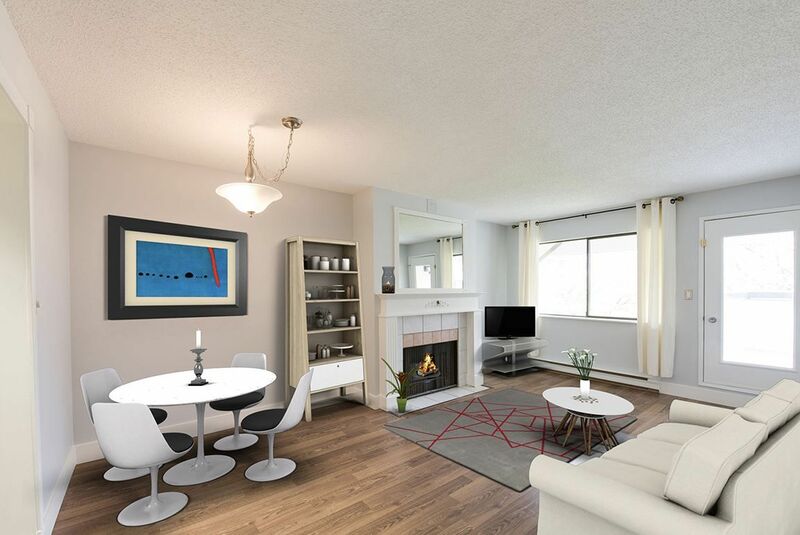 You can't beat this location: 10 min walk to the Skytrain and it comes with a secure underground parking spot! Perfect! Open House Sunday April 17, 2-4. We have sold a property at 509 1490 PENNYFARTHING DR in Vancouver. 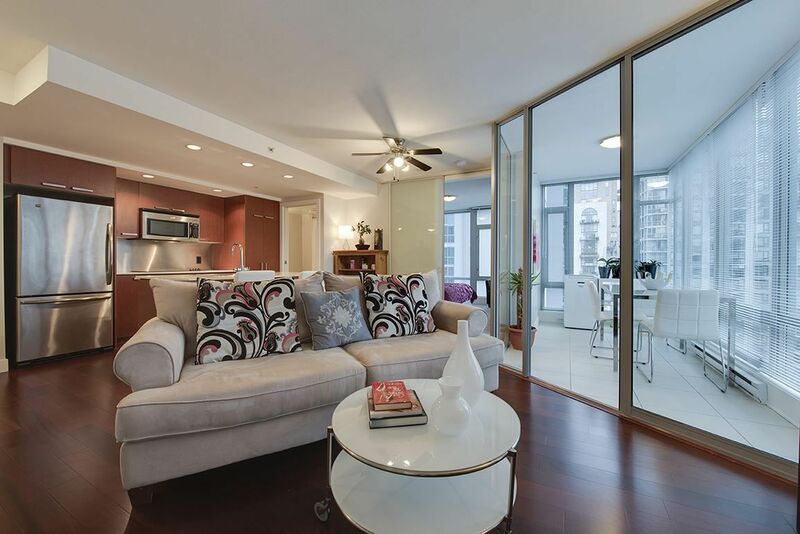 Immaculate 2 bedroom 1.5 bath South facing suite in Harbour Cove at False Creek. Smart layout with master bedroom and en suite tucked away from the living area. Huge patio to enjoy the sun and lush surroundings. Extremely well kept original condition ready to move in or apply your dream finishings to this large suite. 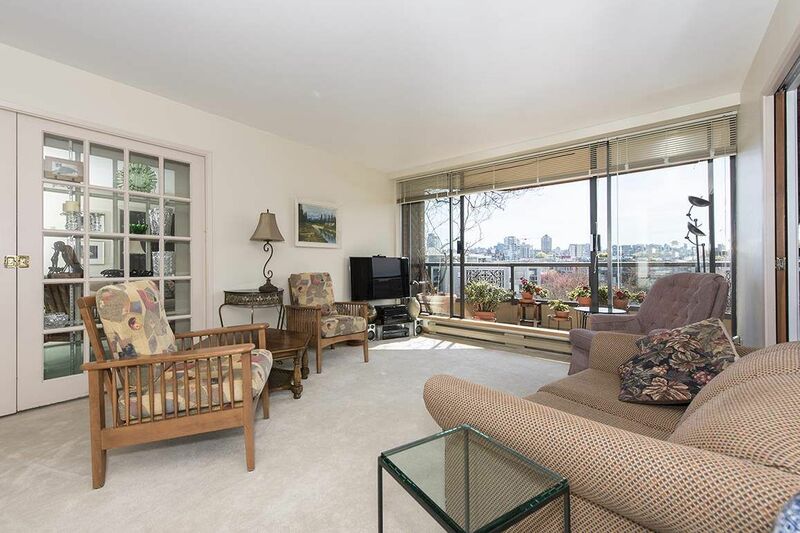 Resort style living in this well maintained building with a pro active strata that includes indoor pool, jacuzzi, library, gym, manicured gardens at the edge of False Creek as well as full time live in building manager. Includes 1 parking and 1 large storage locker. Perfect! We have sold a property at 404 1020 HARWOOD ST in Vancouver. 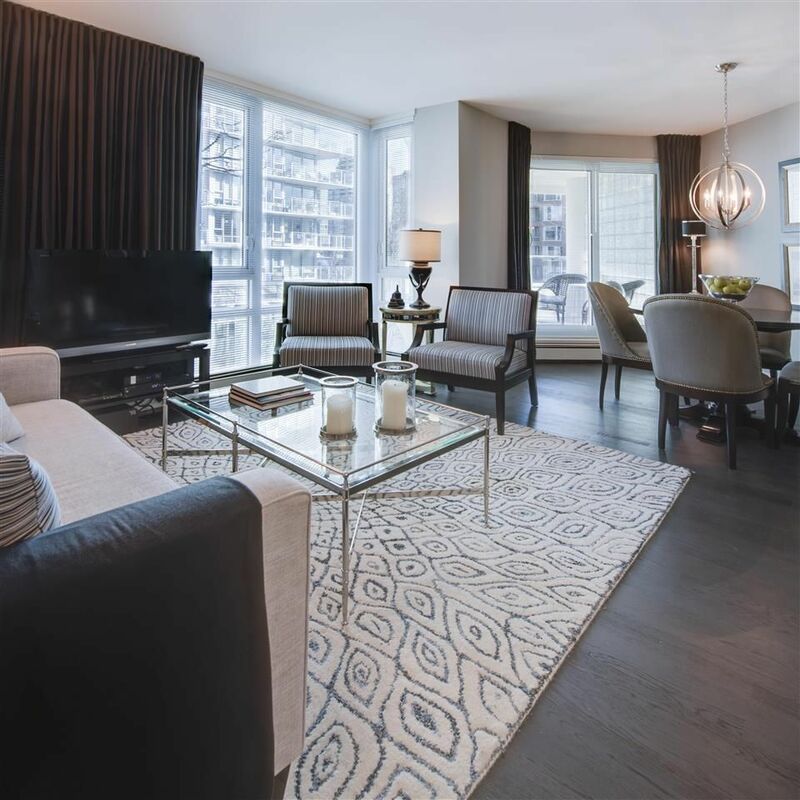 Opulent redesigned 2 bedroom suite overlooking tree lined Harwood Ave at the edge of the West End. Custom designed kitchen provides maximum storage and functionality featuring Carrara Marble surfaces, Fisher-Paykel and Bosch equipment and a large counter seating area. Bathrooms feature heated flooring, sleek fixtures and marble surrounds. Custom closets in both bed rooms. Extensive glazing throughout and a huge patio. 2 Parking and storage. The building was completely redone since 20 I 0- New roof, rain screening, metal cladding, windows, plumbing and interiors. Facilities include garden and outdoor pool, gym, lounge, building manager and hotel inspired lobby and Porte Cochere. We have sold a property at 1202 1255 SEYMOUR ST in Vancouver. Wall to wall windows display panoramic views to the South in this sophisticated suite in Uber-stylish Elan. 2 bedrooms/2 bathrooms on either side of a dynamic centre plan layout providing space and tranquility as you enjoy the city below. The quartz topped island in the kitchen allows for generous entertaining space. Meticulously maintained building with comprehensive amenities program including weight room, cardio room, designated yoga room, meeting rooms and more! 1 parking and 1 locker complete this incredible package. Perfect!  We have listed a new property at 1509 189 DAVIE ST in Vancouver. Welcome home to Aquarius 3. Set within the most sought after collection of residences in the city, Marinaside Homes. South facing with an abundance of natural light and spectacular water views, this spacious one bedroom plus den home presents quintessential Yaletown living. Right out your front door is the Seawall, David Lam park, the Roundhouse Community Ctr., Urban Fare, and countless world class boutiques, cafes, and restaurants. The development itself boasts hotel styled amenities including a pool, steam, hot tub, rec ctr, and concierge. Extremely well run strata, built by Canada's premier developer, Concord Pacific. Truly an outstanding investment opportunity. Open House Saturday, November 17th 2-4pm. Welcome home to Aquarius 3. Set within the most sought after collection of residences in the city, Marinaside Homes. South facing with an abundance of natural light and spectacular water views, this spacious one bedroom plus den home presents quintessential Yaletown living. Right out your front door is the Seawall, David Lam park, the Roundhouse Community Ctr., Urban Fare, and countless world class boutiques, cafes, and restaurants. The development itself boasts hotel styled amenities including a pool, steam, hot tub, rec ctr, and concierge. Extremely well run strata, built by Canada's premier developer, Concord Pacific. Truly an outstanding investment opportunity. Open House Saturday, October 27th 2-4pm. This stunning air conditioned, 3 bed/2 bath patio home at Europa is your oasis in the city! Renovated Kitchen and Bathrooms with smart modern finishes. The large windows throughout the suite overlook a huge 700 sq' private hedge lined patio. The open concept layout has bedrooms on either side of the living space featuring a brand new kitchen with s/s appliances and gas range overlooking it all. Europa has indoor pool, hot tub, gym and is located in trendy Cross town- moments to some of the best restaurants in the city, Andy Livingston Park, Crosstown Elementary school and daycare not to mention International Village Mall! Parking/storage complete the package. Open House Sunday 2-4 PM! This stunning air conditioned, 3 bed/2 bath patio home at Europa is your oasis in the city! Renovated Kitchen and Bathrooms with smart modern finishes. The large windows throughout the suite overlook a huge 700 sq' private hedge lined patio. The open concept layout has bedrooms on either side of the living space featuring a brand new kitchen overlooking it all. Europa has indoor pool, hot tub, gym and is located in trendy Cross town- moments to some of the best restaurants in the city, Andy Livingston Park, Crosstown Elementary school and daycare not to mention International Village Mall! Parking/storage complete the package. Sneak peek Thurs 6-7pm. Open House Sat/Sun- 2-4 PM! Welcome home to Aquarius 3. Set within the most sought after collection of residences in the city, Marinaside Homes. 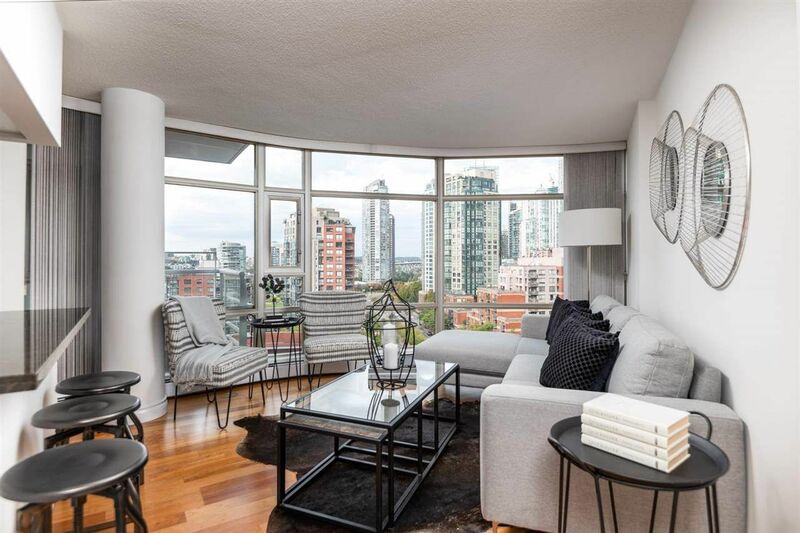 South facing with an abundance of natural light and spectacular water views, this spacious one bedroom plus den home presents quintessential Yaletown living. Right out your front door is the Seawall, David Lam park, the Roundhouse Community Ctr., Urban Fare, and countless world class boutiques, cafes, and restaurants. The development itself boasts hotel styled amenities including a pool, steam, hot tub, rec ctr, and concierge. Extremely well run strata, built by Canada's premier developer, Concord Pacific. Truly an outstanding investment opportunity. Open House Saturday, October 20th 2-4 pm.